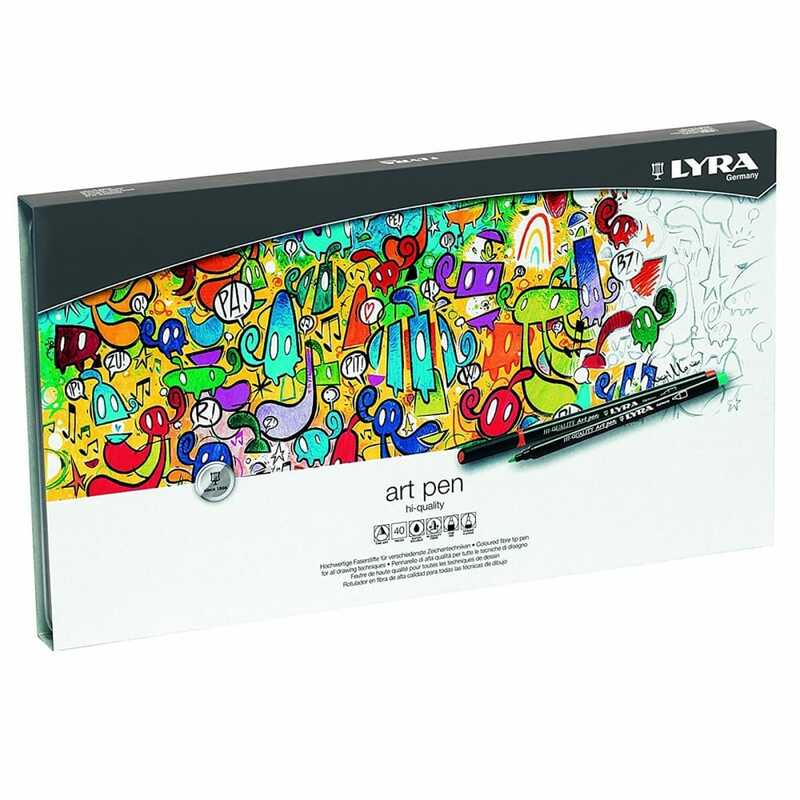 These Art Pens are high quality for using on all colouring, drawing and sketching techniques, they have extra resistant fibre tip with a 0.5 - 2mm line for achieving precise strokes and detailed lines. The ink is water based light-resistant, bright and luminous. The pens have vented caps with a safety stopper and come in a stylish metal tin. Colours: light chrome, lemon, orange yellow deep, light orange, vermilion, scarlet Lake, dark carmines, rose madder lake, pink madder lake, dark flesh, light flesh, blue violet , light violet, deep cobalt, sky blue , light blue, true blue, paris blue , prussian blue, peacock blue, aquamarine, viridian, true green, emerald green, juniper green , apple green , light green, grey green, dark sepia, van dyck brown, brown ochre, venetian red, indian red, light grey, silver grey, medium grey, dark grey, black and luminous pink.